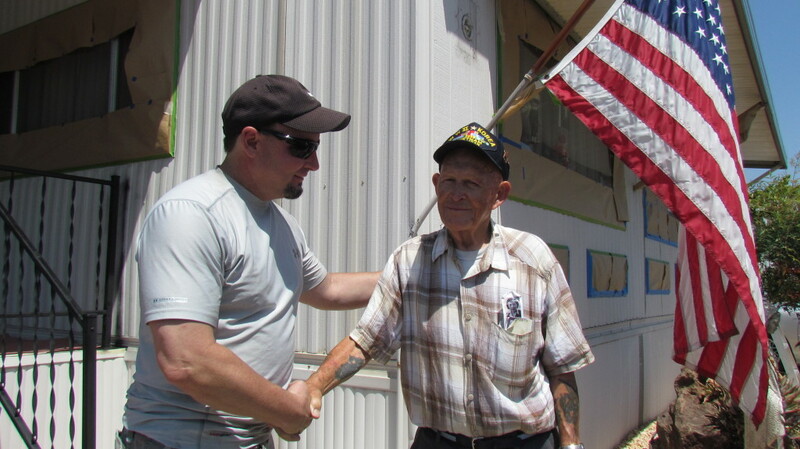 Recently I had the honor and privilege to give back to a fellow veteran. It was my way of saying “Thanks for your sacrifice”. For privacy reasons we will just call him Duane. He is a 3 time war veteran who served 26 years across the Merchant Marines, Navy, and Army. He is 86 years old, full of energy and jokes. Although his wife has passed, he still carries a picture of her in his front shirt pocket. Just to see how much he misses her can bring tears to a man’s eyes. Duane lives alone and his home was in need of a fresh coat of paint. His community required the home owners to keep up the appearance of their homes but he needed a little help with the labor and funds. With the help of Habitat for Humanity we were able to get Duane’s home painted for him. I had the chance to sit with Duane and get to know him. He is a remarkable man and lives life to the fullest. He has stories that could entertain you for days. I felt a special connection with Duane and felt a sense of satisfaction knowing that I could do something to help this person out. 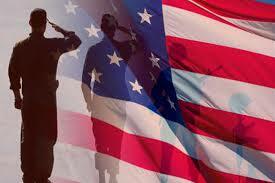 Today, many veterans struggle to make ends meet for various reasons. Some struggle with Post Traumatic Stress Syndrome (PTSD) due to their experiences during war, others are forced to live with injuries, while others just struggle to merge back into civilian life. I for one can attest for those who have spent a good part of their life in the military and find it challenging to transition back into civilian life. Unless you have experienced it, you wouldn’t understand. So far, I have been fortunate to not have to deal with many issues that veterans live with today. I can’t stress enough how important it is for us to continue to share our gratitude and thanks to these special men and women, past and present. Too often we take for granite the peace that we live with but fail to thank those who make it possible. On November 11th we celebrate these people’s contributions to our freedom. Find a veteran and take some time out of your day and do something nice for them. A simple conversation or treating them to lunch can make a world of difference. 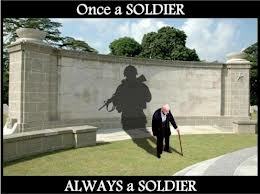 If you don’t know a veteran personally, ask around, you will be surprised how many of us are out there. Let us not forget the spouses and children of the veterans as well. They also sacrifice a lot and are our security blankets when times are tough. They keep our homes together and raise our children while we are protecting our country. As a veteran, don’t forget to thank your spouse and children for their sacrifices. With that said, I wanted to share with you many of the Restaurants and Businesses that participate in Veterans Day celebration. Many offer discounts and some offer free meals and services to veterans. Below is a list of National 2015 Veterans Day free services or discounts such as free or discounted hotels, haircuts, car washes and many more deals specifically for veterans, active-duty military personnel and military dependents.